Over the past two years, I have graciously been able to attend a lot of events through this blog. My fiance is usually my counterpart and he happily obliges. Yet as my always plus one, Gabe never gets the attention on himself. That will change this weekend at the Gasparilla Distance Classic. 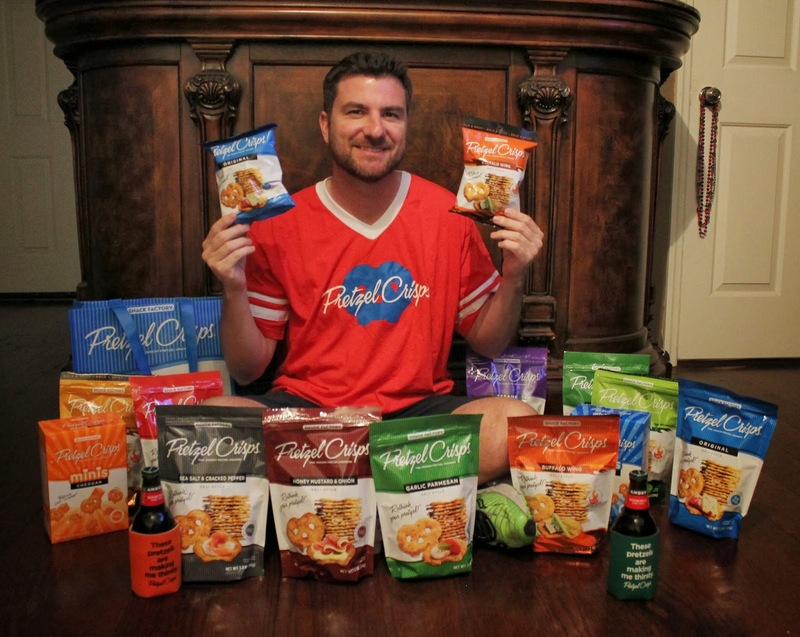 This past week, I received an email from my friends at Pretzel Crisps® offering to sponsor Gabe at the Gasparilla Distance Classic! The sponsorship covered his race fee, what seems like a years supply of Pretzel Crisps, beer, Pretzel Crisps sunblock, 'these pretzels are making me thirsty' koozies, tattoos and a donation to any charity of Gabe's choice. He chose St. Jude's :) I am really excited for Gabe and this opportunity. He is the first runner they have ever sponsored. The Gasparilla Distance Classic is a weekend full of races, a 5K, 10K, 15K and Half Marathon. Gabe will be running int he Half on behalf of Pretzel Crisps. The Gasparilla race series is an annual event in Tampa and is sponsored by Publix (where you can purchase Pretzel Crisps!) and we have quite a few friends running the various distances. If you are attending the event, you can find Pretzel Crisps being handed out at the health and wellness expo. You can learn more about Pretzel Crisps by clicking here and find out how the Wilson family started selling funnel cakes at fairs in 1970 and ended up creating an empire, being named Ernst & Young Master Entrepreneur Of The Year® 2012 New Jersey Award. These are one of our favorite snacks and I encourage you to become familiar with them!